What’s the best part of an amusement park? While some might say cotton candy, churros, people-watching, or water rides, I believe the best part of an amusement park is the roller coaster! The bigger, the better!!! Why Roller Coasters? Because they’re awesome thrill-seeking, scream-provoking, vomit-inducing machines. Even though these rides feel dangerous, they’re actually very safe inventions designed to feel as if you’re breaking all rules of science. Are they breaking any rules? Of course not, physics plays a huge role in the design, motion, & fun of roller coasters. 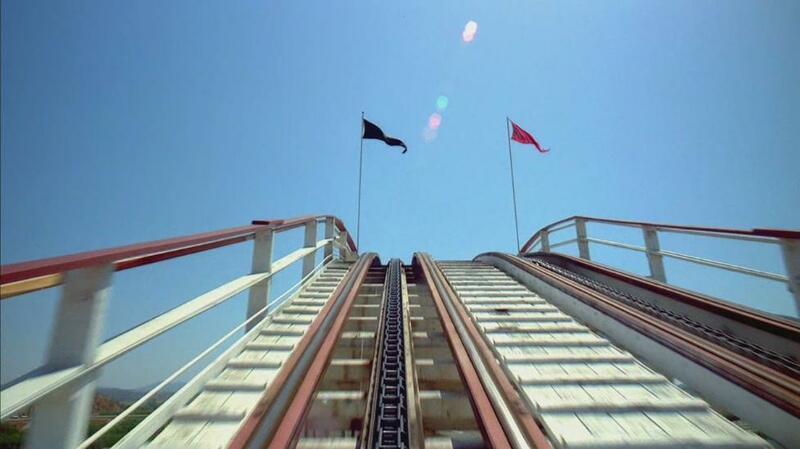 What’s your Dream Roller Coaster? Close your eyes & picture the amazing ride that awaits you. How many turns do you have? Any loops? Any major free falls? Corkscrews or other elements? Draw it in your notebook. What questions do you have about roller coasters? What have you always wondered about roller coasters? Brainstorm some questions with your partner. Can you think of at least 3? Five? Write some questions in your notebook.